To assure that both distributors and end users understand the advantages and functionalities of our products, Orfit frequently organizes trainings and workshops. These events take place at the Orfit headquarters in Belgium or on site, which could be anywhere in the world. 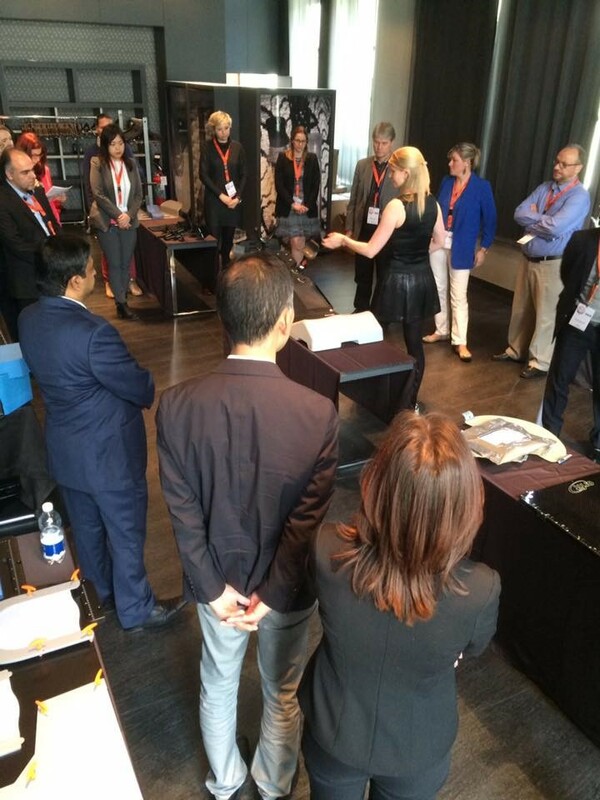 In 2016 several distributors from all over the world, such as Georgia, Spain, Algeria, South-Korea and Colombia, visited the Orfit headquarters to follow an extensive training on the Orfit Radiation Therapy product range. 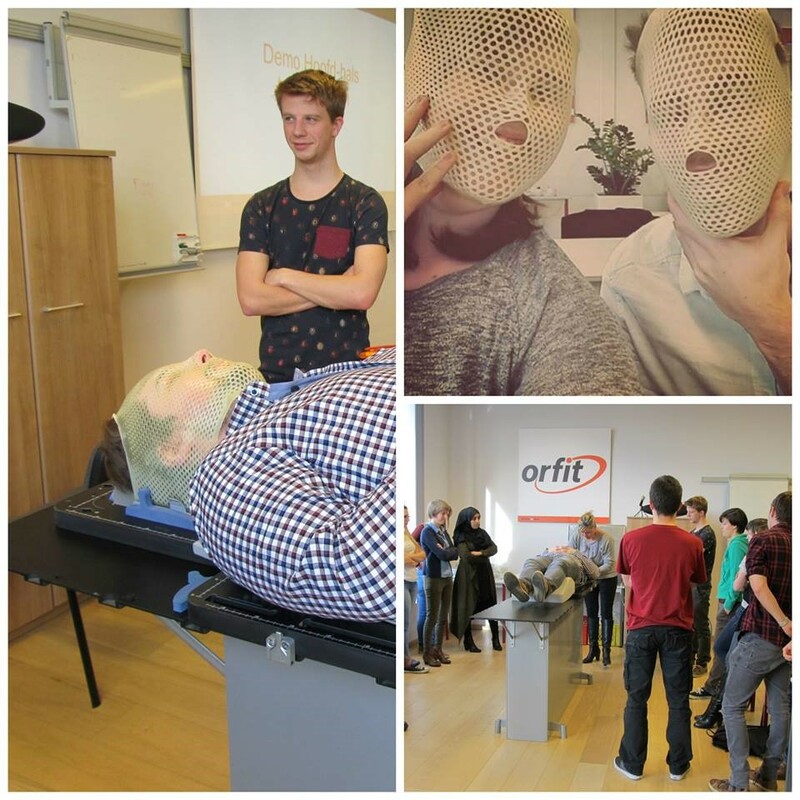 Also Belgian and Dutch end users came to the Orfit offices to get a first impression on how thermoplastic masks and hardware are produced and how to use them in a correct way. Moreover, Medical Imaging Students of Odisee University College in Brussels (speciality: radiotherapy) were at Orfit for a class on immobilization & positioning as a preparation for their internships at Belgian hospitals. Since not everybody has the possibility to visit the Orfit headquarters, our Product Specialists travel the world to share their expertise in the use of Orfit immobilization systems. 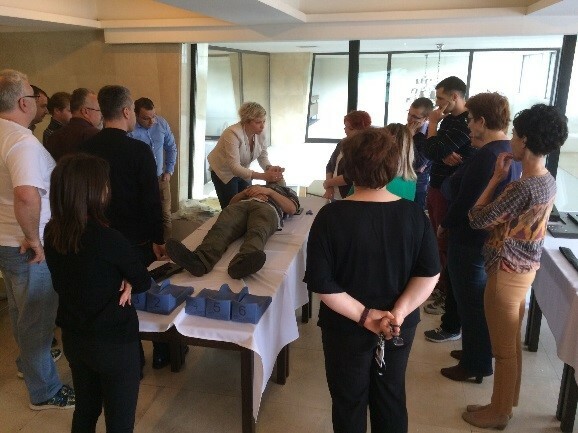 In 2016, various Romanian hospitals participated in mask moulding workshops held in Cluj and Bucharest in cooperation with our local distributor. All participants were very pleased to get the opportunity to enhance their skills and knowledge on the use of Orfit thermoplastic masks. Each year, Orfit distributors have the chance to learn more about our new products at the Orfit distributor meeting, which is organized just before the ESTRO Annual Meeting. In 2016, this meeting was held in Turin, Italy. Ray D. Herrick explains his role and importance as a product specialist. My role in assisting the sales team to demonstrate, teach and understand the needs of our customers helps to insure they get the customized solution they require. This year I had the opportunity to demonstrate our Sagittilt prone breast solution to Tom Baker CC, in Calgary Alberta. The unique design which enables the user to exactly reposition the breast, head, arms and hands of each patient, making daily positioning as easy as a supine set-up was readily apparent. After this demonstration and the purchase of the Sagittilt solution my role was to install and train the staff. I especially enjoy this part of my job, to empower the staff to learn a new technique that will benefit many patients in their battle against cancer. Each patient we treat with breast cancer is someone’s grandmother, mother, sister or daughter and should receive the best treatment available, something I’m proud to say Orfit Industries is committed to providing. My role is always ongoing with our customers and Orfit Industries looks to develop relationships over the long term by working closely with existing customers. I seek customer feedback through follow-up visits, email and phone conversations which helps us to continually improve our product line and meet the “high precision” needs of the future.